Google has fixed an issue with its Google Maps search function, which previously led people to The White House if they searched for variations of the N-word with the word "house." A Twitter user first discovered the problem Tuesday afternoon. On Thursday, Google blamed the problem on its search ranking system, and apologized for the screw up. "This week, we heard about a failure in our system -- loud and clear," Jen Fitzpatrick, a Google engineering executive, wrote in a blog post. 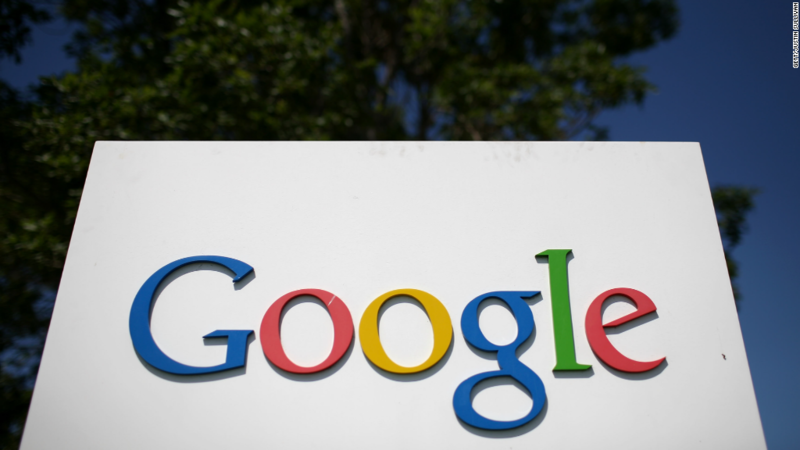 Google says it has updated its search algorithm to fix the "majority of these searches." Searching for the terms from New York now leads to no results found, but it's possible that some people may still see the issue depending on where they are geographically. Google Maps has fixed an issue that previously led people to The White House when searching for offensive terms. Google says it will "gradually" roll out the fix globally, and continue to make fixes in the future. Fitzpatrick says the offensive terms were leading to "unexpected maps results" because people have used these phrases online when talking about public places and businesses. 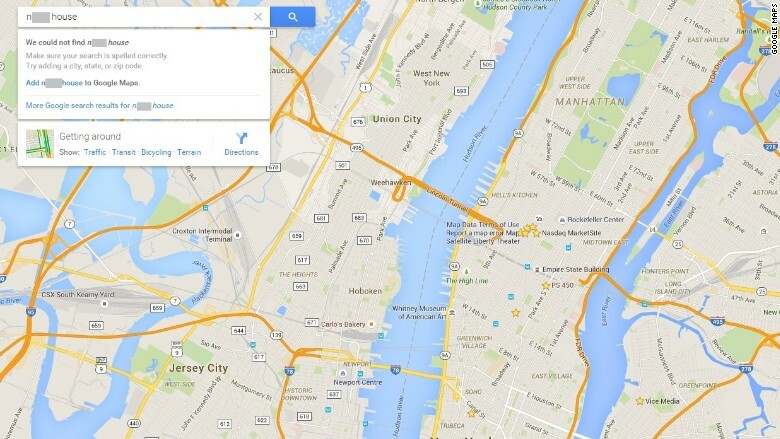 Google's search engine then linked those terms to the discussed locations in its Maps search results. It wasn't a problem where someone overtly made the search queries redirect to The White House. "It's kind of crowdsoucing terms gone bad," Danny Sullivan, Search Engine Land founding editor, told CNNMoney. "Simply put, you shouldn't see these kinds of results in Google Maps, and we're taking steps to make sure you don't," Fitzpatrick added. "We were deeply upset by this issue, and we are fixing it now. We apologize this has taken some time to resolve."